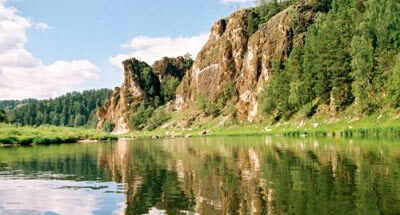 Address: 453588 Republic Bashkortostan, Burziansky r-n., der. Gadelgareevo. Zapovednik Shulgan-Tash, in the southern part of Republic Bashkortostan was established in 1958 as the Pribelsky branch of Zapovednik "Bashkirsky" and in 1986 granted the status of an independent Zapovednik. Its area is 22,5 thousand ha. 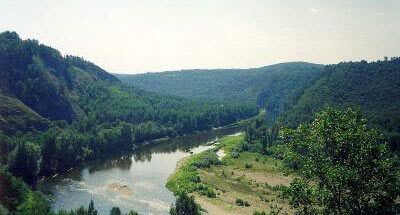 The Zapovednik is situated on the spurs of Southern Urals, at the river Belaya. 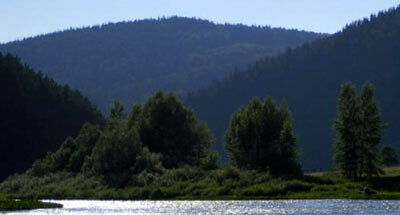 The mountain part is a plateau with an absolute elevation of 600 m above the sea level. The Zapovednik is situated on the boundary of nature zones (forest and steppe), and also on the boundary of bio geographical Districts (European and Siberian), which determined the high biological diversity of its ecosystems. The woodland area is 21,4 thousand ha. The broad-leaved old forests with tall-grass glades and petrophilous meadow-steppes prevail. The tree species are: small-leaved lime, English oak, Norway maple, Russian elm and scotch elm, Scotch pine, Siberian spruce, white birch, weeping birch, aspen, white alder, black poplar, which form more than 60 types of plant communities. More than 100 plant species are rare or endangered. The rare birds include: the osprey (Pandion haliaetus), peregrine falcon, white-tailed eagle, black stork, serpent eagle; mammals: the bobac marmot ; insects: mnemosina, apollo, etc. A population of the wild Middle-Russian bee is protected; traditional subsistence of the indigenous people in conformity with the Zapovednik’s regime is supported. The cape cave (Shulgan-Tash, with petroglyphs is a unique nature and historical monument.